"After a half century of neglect and inaction, New York is once again building for the future, and our infrastructure investments are already creating hundreds of thousands of jobs," Gov. Cuomo said. New York Gov. 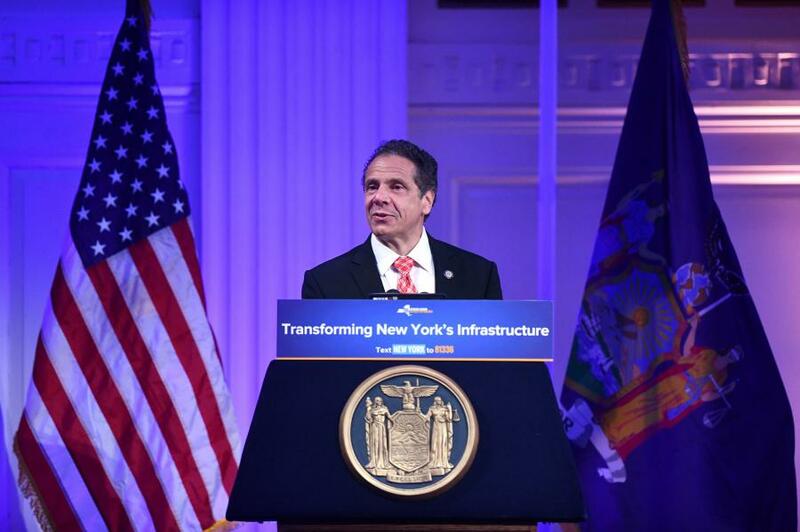 Andrew M. Cuomo announced June 14, a $150 billion infrastructure plan for the next five years. This historic investment in New York's capital assets builds on the Governor's existing $100 billion infrastructure initiative. Beginning in FY 2020, these capital projects will rebuild transportation and mass transit systems, construct safe and secure affordable housing, drive economic and community development, build new and better school buildings for 21st century learning, create new environmental and park facilities, support our sustainable energy future and generate 675,000 new jobs and expand opportunity for all New Yorkers. "After a half century of neglect and inaction, New York is once again building for the future, and our infrastructure investments are already creating hundreds of thousands of jobs," Gov. Cuomo said. "This record commitment to infrastructure, which builds on our already thriving $100 billion program, will drive our momentum forward and demonstrates yet again that with vision and ambition, New York is setting an example for the rest of the nation to follow." As with the existing $100 billion infrastructure program, the new $150 billion plan will be funded by a combination of state, federal, local government, public authority and private investment. State debt will remain at affordable levels and within the statutory debt limit. Responsible management of the State's debt portfolio has been a hallmark of this administration and, today, the state has less debt than when the Governor took office. New Yorkers are already benefiting from the capital assets funded through the current $100 billion infrastructure plan, from the Mario Cuomo Bridge, to the 2nd Avenue Subway, to downtown revitalizations and water infrastructure projects all across the state. These projects are supporting the creation of approximately 450,000 jobs and contribute New York's all-time high job count. Since the beginning of Governor Cuomo's administration, New York State's economy has experienced employment growth in 76 of the past 88 months. $9 billion to further the state's investment in the construction of quality, safe, secure and affordable housing for the people of New York. $19 billion to help school districts build new and better school buildings - creating learning spaces of the 21st century. $13 billion to improve and maintain SUNY and CUNY buildings, the state's health care facilities and other capital assets.